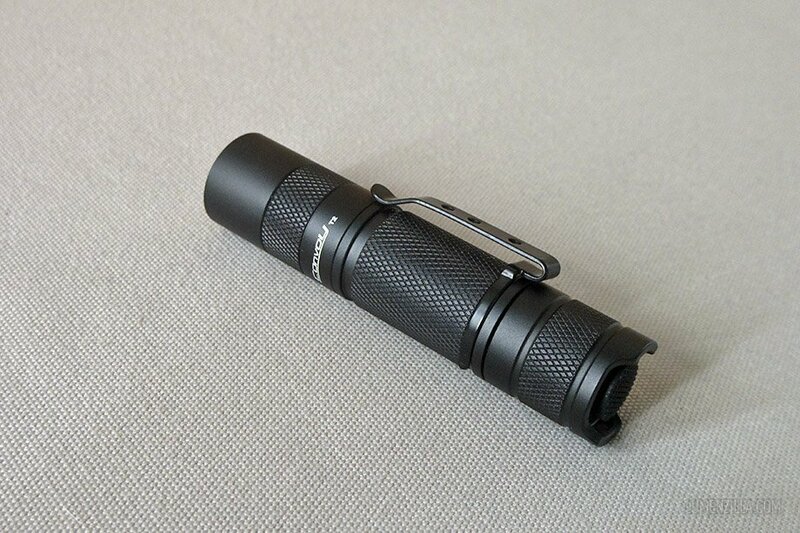 Convoy T2 is a new flashlight model from Convoy powered by 1 x AA battery. It utilises CREE XP-G2 which can deliver maximum output of 320 lumens and available in three tint colors (4500K, 5500K, & 6500K). I received a free sample from Gearbest for reviewing purpose and it arrived in an humble packaging below. 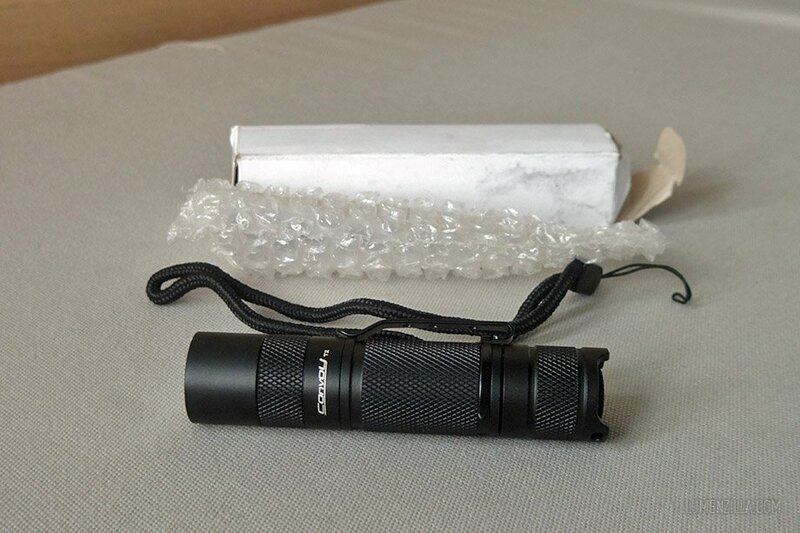 Convoy T2 from Gearbest in a humble cardboard packaging. If you never heard this brand before, Convoy is known for their humble (but pretty secure) packaging. 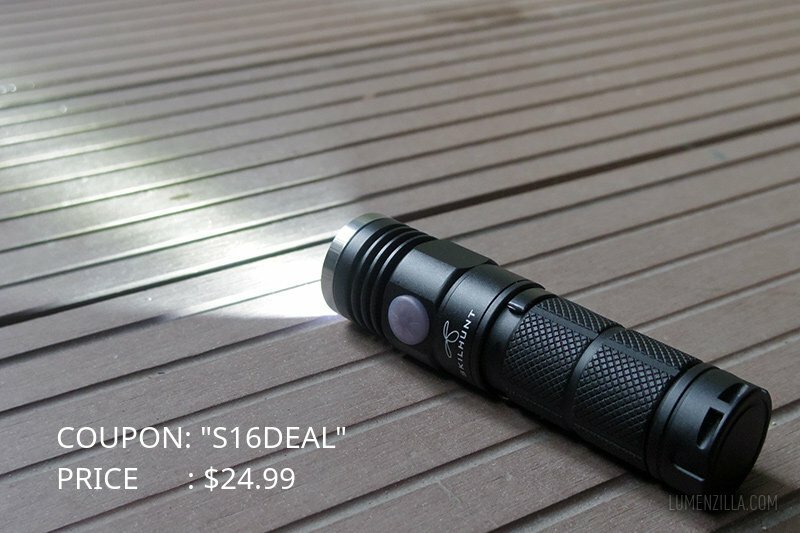 This way customer can get high quality flashlight with lower price because no gimmick was given. 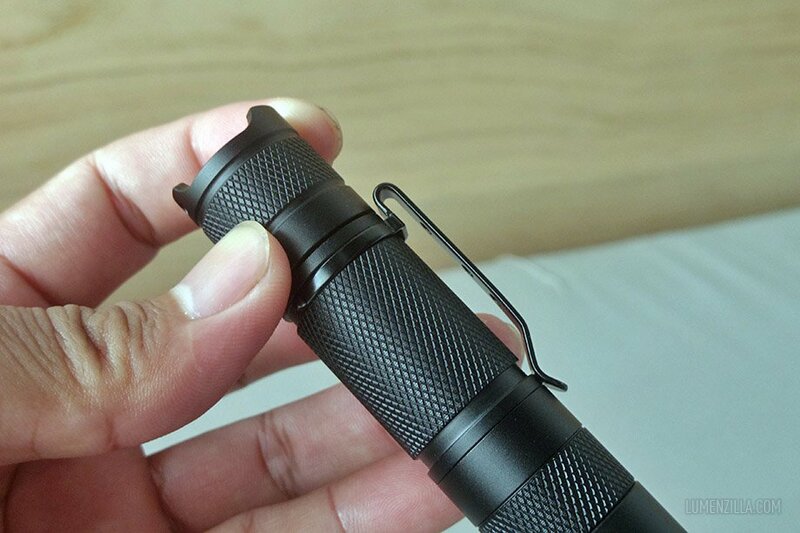 Convoy T2 with diamond shaped knurling and pocket clip. 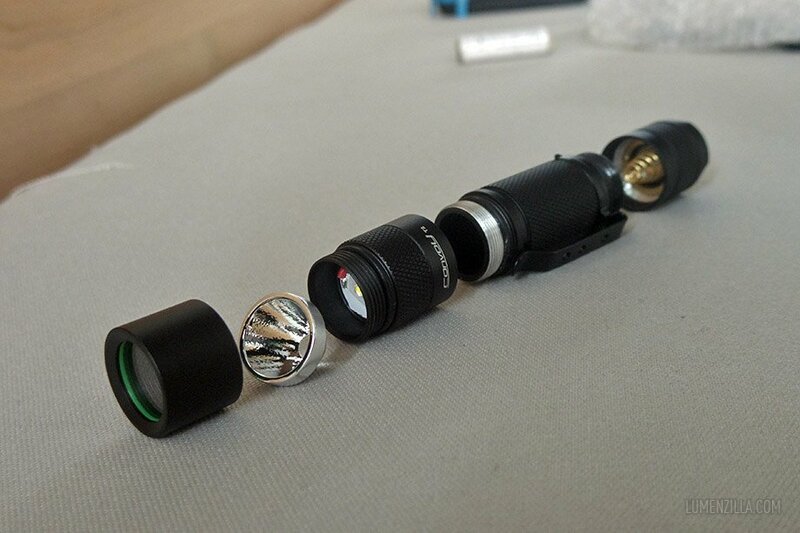 This is a compact and sturdy AA flashlight, suitable for either EDC or outdoor activity. 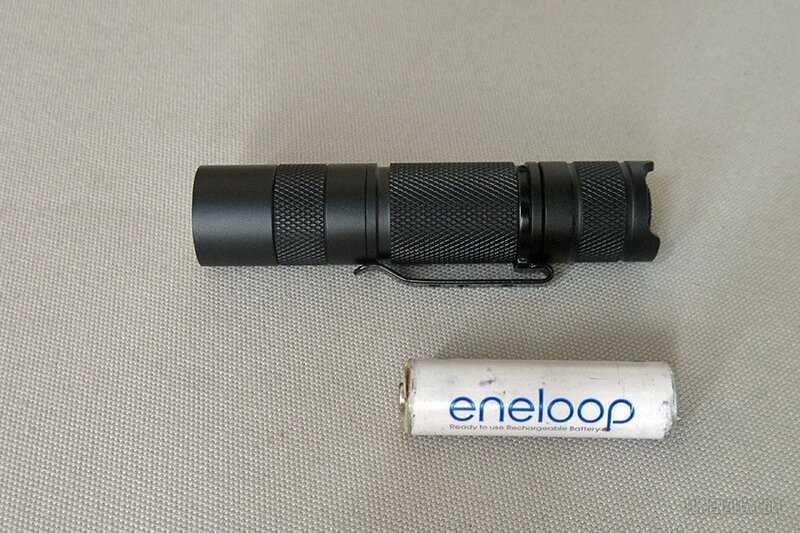 Powered by single AA battery, it can provide enough light for your most daily tasks. Unfortunately it doesn’t support lithium ion battery. Build quality is above average with smooth (non aggressive) diamond shaped knurling. Pocket clip is pretty stiff and not easy to bend. Look at this body thickness. 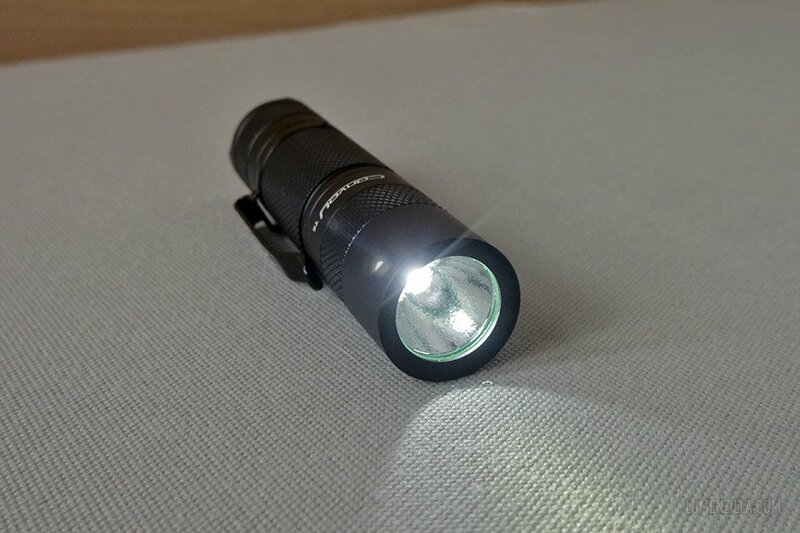 It makes the flashlight a little bigger than other average AA flashlight. Convoy T2 body wall thickness. 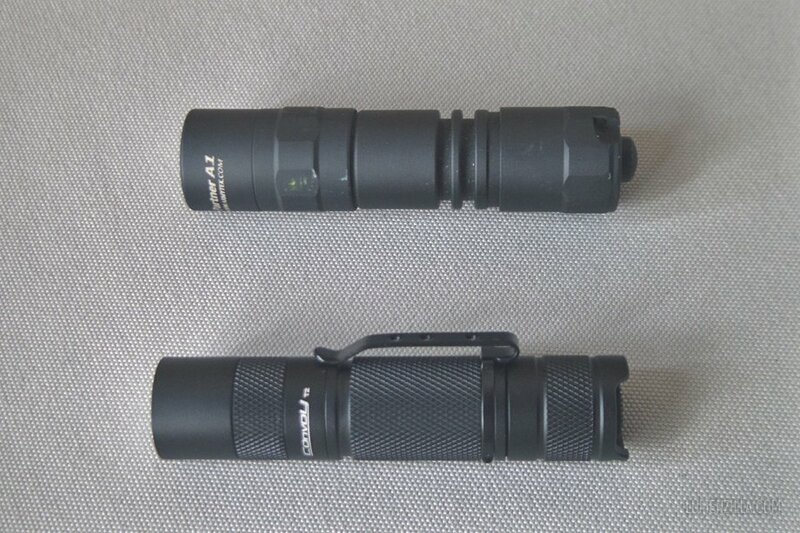 Convoy T2 (bottom) compared to Armytek Partner A1 (top). Talking about technical stuffs, actually Convoy never really display detailed technical specifications on their official store. Here’s the specification that I found from Gearbest website. 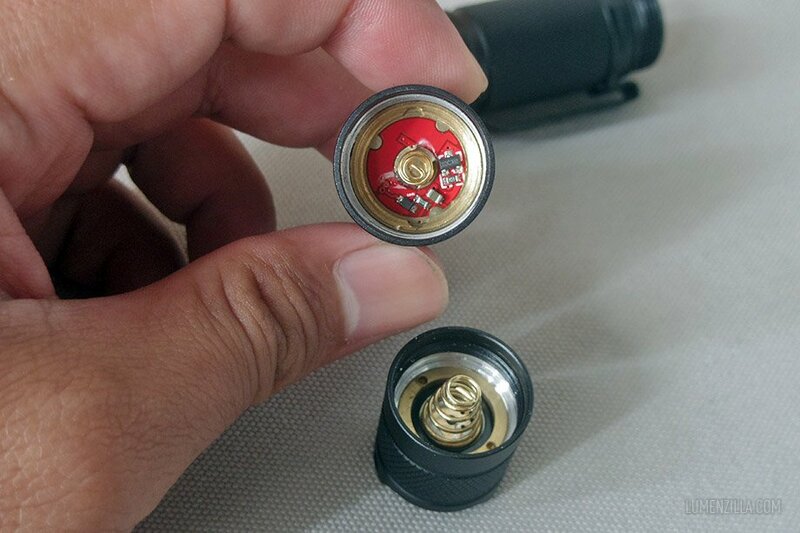 Convoy T2 uses 17.3 mm driver with 1.5 volts input and 800 mA output. 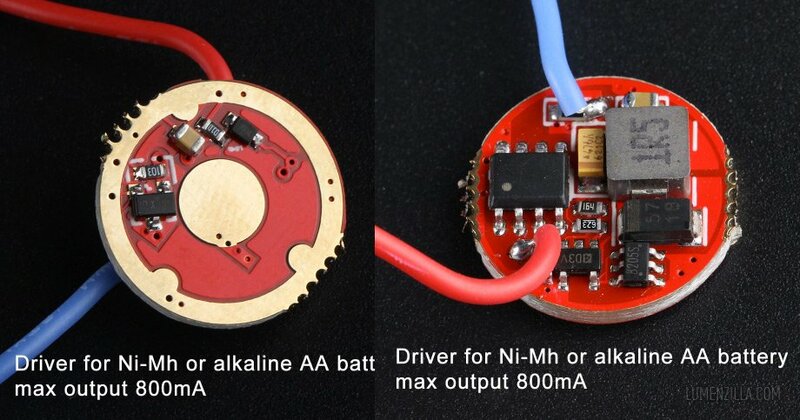 It’s clear that the driver doesn’t support lithium-ion battery (3.7-4.2 volts). Driver is inserted and secured with brass retaining ring. The good thing about Convoy is they never glued their flashlight parts (please correct me if I’m wrong). 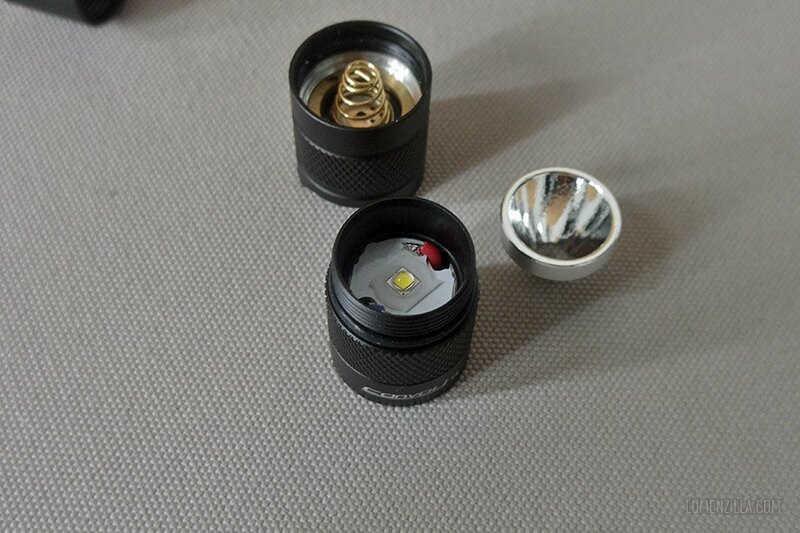 Here’s the LED used in this model, wrapped with gasket to keep it centered. Convoy T2’s tail cap and head parts. It uses orange peel (OP) aluminium reflector, resulting a floody beam pattern thus suitable for close range illumination. 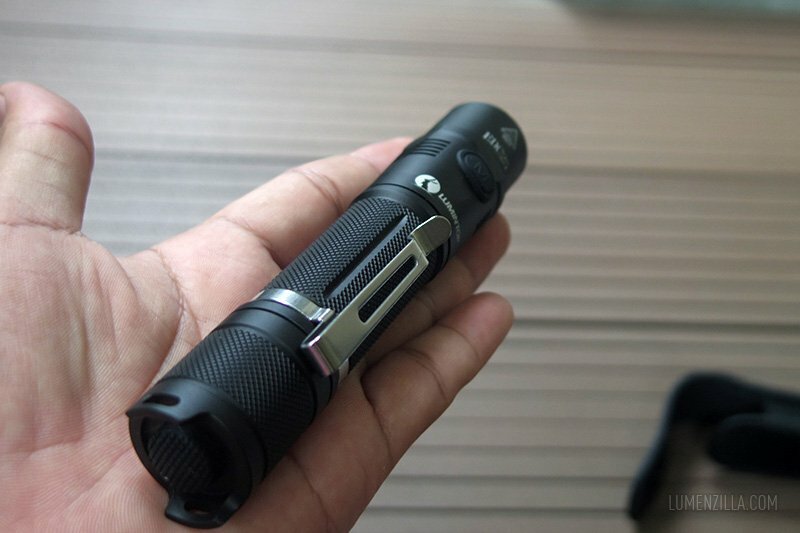 Convoy T2 has three brightness levels with memory mode. Low mode is 1% from the max output, medium mode 10%, and high mode is 100% from the output (800 mA). Convoy T2 with CREE XP-G2 and orange peel reflector. If my calculation is not mistaken, the number should be around 3 lumens on Low, 30 lumens on Medium, and 320 lumens on High. Please note that the numbers may vary according to the battery brand, chemistry, etc. Switch is located on its tail cap with black rubber covering the reverse clicky switch. 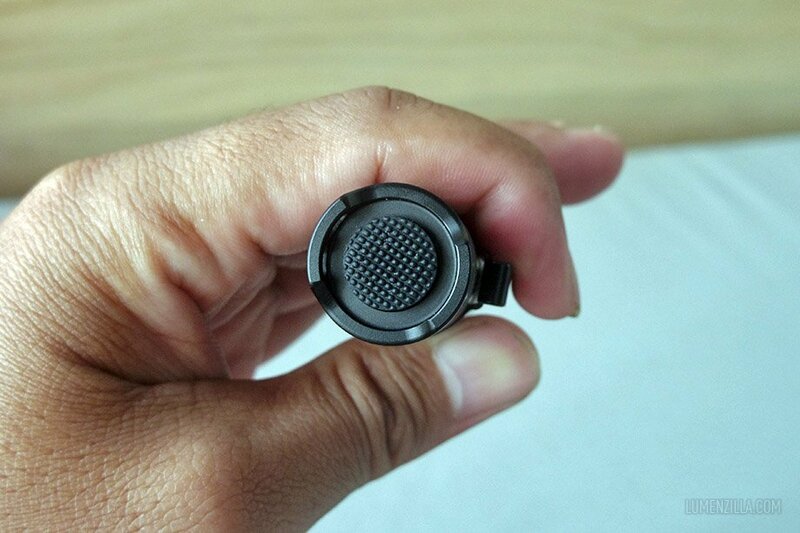 Convoy T2 black rubber cap. Switch position is a bit recede, need little effort to push the button. I have no problem with this design but I don’t know about people with big thumb/fingers. 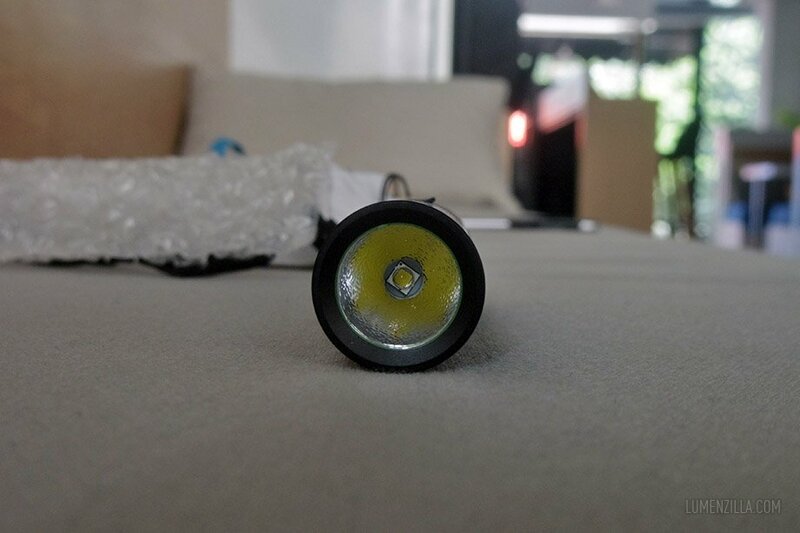 An advantage from this design is the flashlight capable to be positioned tail standing on flat surfaces. It also has hidden strobe mode that can be activated by double click the switch from on state. 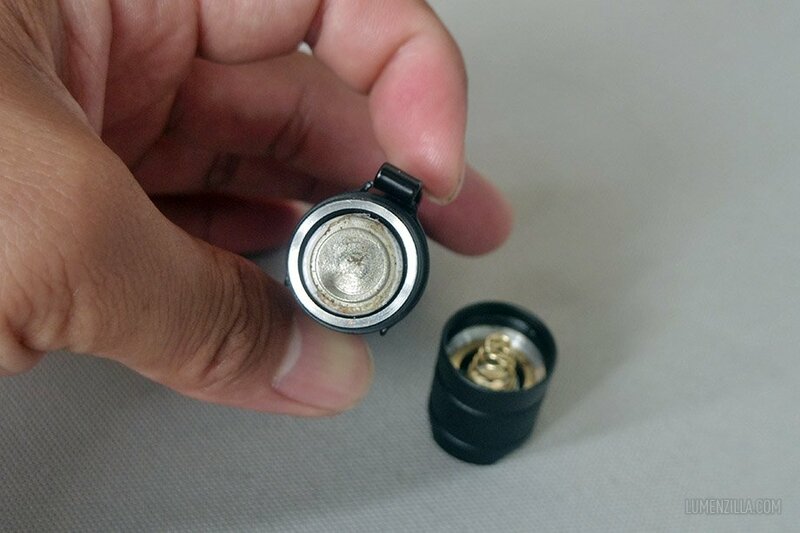 It’s said that the flashlight has memory mode. After playing around with it and got confirmation from BLF, it looks that it has five seconds memory mode. 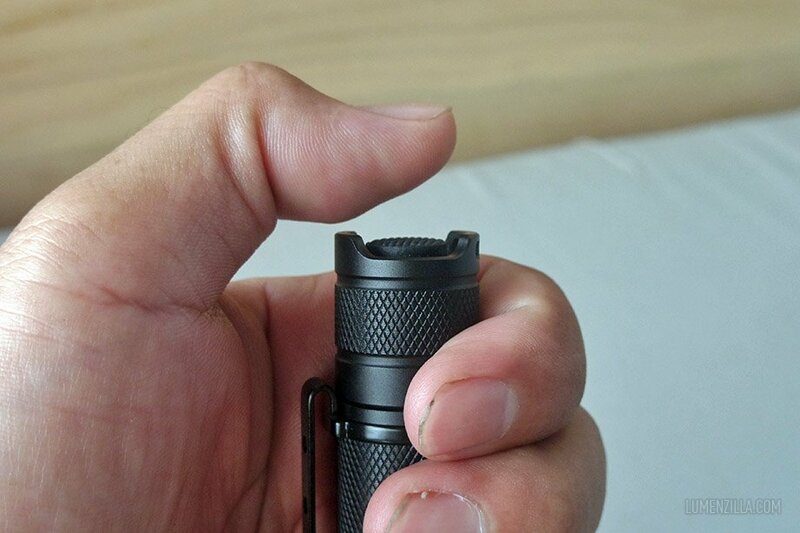 Convoy T2 is a budget friendly AA flashlight with decent build quality. It doesn’t have fancy features and just get the job done.